The PodKast with a K at the End of the World! It’s been a week (near enough) since the conclusion of the so-called “Monk Trilogy,” The Lie of the Land. And we still don’t know that much about them. For now, let’s take you back to just before Toby Whithouse’s episode, to just after The Pyramid at the End of the World. This is where we join our regular PodKast with a K crew, Christian Cawley, James McLean, and Brian Terranova. 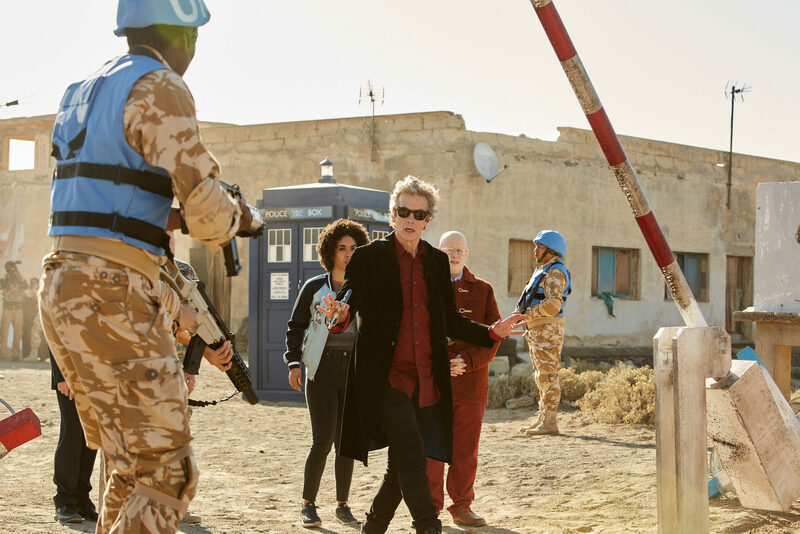 Aside from reviewing Peter Harness’ bridging episode between Extremis and The Lie of the Land, the trio mull over the possibility that the Monks are more significant to the ongoing arc of Series 10. Are they linked, for example, to World Enough and Time/ The Doctor Falls…? Or is their story over? So what do you think? Are the Monks connected to the Cybermen? Or what about the – gasp! – Time Lords? Or are they best left forgotten now?